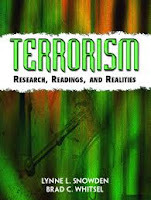 This is a copy of a chapter in Terrorism: Research, Readings, & Realities, eds L.L. Snowden and B.C. Whitsel. Upper Saddle River, NJ: Pearson Prentice Hall, 2005. Please cite as: Deflem, Mathieu, and Lindsay C. Maybin. 2005. "Interpol and the Policing of International Terrorism: Developments and Dynamics since September 11." Pp. 175-191 in Terrorism: Research, Readings, & Realities, edited by Lynne L. Snowden and Brad Whitsel. Upper Saddle River, NJ: Pearson Prentice Hall, 2005. We present an analysis of the organization of counter-terrorist police strategies by the International Criminal Police Organization (Interpol). Historically, Interpol has gradually developed anti-terrorist activities since the 1970s and radically expanded its strategies since the events of September 11. Analyzing these developments, it is shown that counter-terrorist strategies at the international level of cooperating police agencies are driven by concerns over an efficient management and exchange of information among police. The target of terrorism is thereby (re)defined in a language that can be shared among the world’s police institutions. As such, Interpol attempts to ‘de-politicize’ terrorism and strip it of its ideological connotations that create political divisions in the world. However, these efforts in Interpol and many of its member agencies to target terrorism as a crime may not necessarily harmonize with the political, diplomatic, and legal activities against terrorism conducted at the level of the governments of national states. International terrorism has abruptly moved to the center of public attention and become an intense subject matter at many levels of politics, law, and criminal justice. Especially since the events of September 11, 2001, there can be no rational way to deny the relevance of the study of terrorism. Much attention has already gone to (counter-)terrorism in the scholarly community (e.g., Townshend 2002; White 2003; Deflem 2004), including contributions on the law enforcement response to the threat and reality of terrorism (e.g., Deflem 2002a:228-231; Donnermeyer 2002; McVey 1997; Stuntz 2002). Given the contemporary climate on the global scene, especially the recent conflict between the USA and Iraq, it is clear that the complex conditions of terrorism involve many significant components. In this chapter, we will focus on the counter-terrorist police response at the international level since September 11, especially the relevant changes in the International Criminal Police Organization, better known as Interpol. The perspective of our analysis is rooted in the sociology of social control and the transformations of social control under conditions of globalization. Based upon prior research on international policing (Deflem 2000, 2002a), we defend the theoretical perspective that international police cooperation is enabled through a historical process of police agencies gradually claiming and gaining a position of relative independence from the governments of their respective states. Following Max Weber’s bureaucratization perspective, such conditions are characterized as formal bureaucratic autonomy and can be witnessed to have affected police bureaucracies across the western industrial world. Under these conditions, moreover, police agencies can rely on expert systems of knowledge of international crime that are shared across national boundaries to effectively form international cooperation plans on a relatively broad multilateral scale. However, despite such trends of international cooperation, nationally variable concerns of participating police remain paradoxically paramount, most distinctly in specifying shared international police objectives at the national level. The September 11 terrorist attacks in the United States had a ripple effect that could be felt across the world and that led to major reorganizations of counter-terrorist policing (and other components of counter-terrorism) in many countries. In the United States, among the most striking change in policing has been a sudden and considerable expansion of police powers, justified by the tragedy and devastation of the attacks. About a month after the tragedy, the PATRIOT Act (the ‘Provide Appropriate Tools Required to Intercept and Obstruct Terrorism Act’), a new federal bill to broaden police powers against terrorism, easily received congressional approval. The bill places special emphasis on foreign investigative work and the investigation of aliens engaged in terrorist activities, and urges a shift in police attention towards the northern border with Canada. This expansion of U.S. police powers also brought about a refocusing of resources and a re-alignment of federal, state, and local police agencies. All levels of law enforcement focus more attention than ever on terrorism. In the months following September 11, for instance, the FBI assigned some 4,000 of its 27,000 agents to counter-terrorist activities. Also, the former Immigration and Naturalization Service (INS) was then reorganized to separate its administrative tasks from its expanded enforcement duties, which include international and interior enforcement as well as border patrol. The most important initiative at the federal level to secure inter-agency coordination in the fight against terrorism was the creation of the Office of Homeland Security. The Office was established on October 8, 2001 by executive order of President Bush and placed under the directorship of Tom Ridge, the former governor of Pennsylvania. On November 24, 2002, the Office turned into a separate Department in the executive branch, when President Bush signed the ‘Homeland Security Act of 2002’ into law. The Department has brought together, amongst many other agencies, the U.S. Customs Service, the Federal Law Enforcement Training Center, the Federal Emergency Management Agency (FEMA), the Secret Service, the U.S. Coast Guard, and the successor to the INS, the Bureau of Citizenship and Immigration Services. Counter-terrorist policing reorganizations, similar to those in the United States, have been conducted in many countries across the world, especially in Europe where police powers have also been expanded since September 11. The police institutions directed by the Ministry of Defense in the United Kingdom, for instance, have been given broader powers of investigation and can now arrest civilians that are suspected of terrorist involvement. Again paralleling conditions in the United States, new counter-terrorist agreements and legislation have also been passed abroad. For example, the European Union has passed new anti-terrorism measures, partly justified by the fact that EU-nationals were among the casualties of September 11. Thus, at the international level, the September 11 attacks have served as a powerful symbol to step up enforcement in many nations and to enhance international cooperation. Considering the mechanisms that drive international cooperation against terrorism, emphasis is placed on effectiveness and speed in cooperation, especially for the exchange of intelligence information. Information on suspects and requests for information is typically transmitted directly among police (and intelligence) agencies. In the weeks after September 11, for instance, the FBI passed on information about people suspected to be involved in the attacks to Scotland Yard and requested investigations to be conducted on British soil. Typically, personal contacts are established between the representatives of police of various nations to foster swift communications. Such fostering of international police cooperation on the basis of personal contacts by police officials often takes place next to, and independent of, international diplomatic negotiations. For instance, when Attorney General Ashcroft met with German Minister of the Interior Otto Schily in October 2001 to discuss counter-terrorist measures, FBI counter-terrorist experts separately met with German investigators in Hamburg to discuss the profiles of the members of a Hamburg cell of the al-Qaeda network. Additionally, international meetings are held to discuss international cooperation strategies of counter-terrorism. For example, the meeting of the International Association of Chiefs of Police in Toronto in September 2001, just a few weeks after the attacks in the United States, was refocused to discuss the policing of terrorism. A similar adjustment of the discussion agenda took place when the Interpol General Assembly met in Budapest from September 24 to 28, 2001, the organization’s first session after the September 11 attacks. In the remainder of this paper, we take a closer look at the role of Interpol in counter-terrorist policing. Interpol is an organization that aims to provide and promote mutual assistance between criminal police authorities within the limits of national laws and the Universal Declaration of Human Rights. Originally formed in Vienna in 1923, the organization has steadily grown in membership but never substantially changed in form or objectives (Deflem 2000, 2002a). Interpol is not a supranational police agency with investigative powers, but a cooperative network intended to foster collaboration and to provide assistance in police work among law enforcement agencies in many nations. To this end, Interpol links a central headquarters, located in Lyon, France, with specialized bureaus, the so-called National Central Bureaus (NCB), in the countries of participating police agencies. At present, Interpol counts 181 participating police agencies, with police of Afghanistan among the most recent members to join. At the Lyon headquarters, Interpol employs some 200 full-time staff and 150 seconded police officers. The objectives of Interpol have historically always been confined to criminal enforcement duties (so-called ordinary-law crimes). Since 1951, following certain politically sensitive Interpol cases that involved police from former Communist countries in Eastern Europe (Deflem 2002a), Interpol has adopted an even more explicit Article 3 to its constitution to preclude the “Organization to undertake any intervention or activities of a political, military, religious or racial character” (Interpol website). With respect to counter-terrorism, various resolutions were passed by Interpol to combat —at first implicitly, then explicitly— terrorism and terrorist-related activities (Anderson 1997; Bossard 1987; Interpol website). In 1970, the Interpol General Assembly in Brussels specified a resolution to cooperate in matters of criminal acts conducted against international civil aviation. In 1971, a resolution was reached that Interpol agencies should take measures to prevent or suppress specific modern forms of international criminality, specifically, the holding of hostages with the intention of perpetrating blackmail or other forms of extortion. The resolution clarified that this provision was valid only within the context of the Interpol resolution, which passed in Lisbon, Portugal in June 1951, that Interpol would not concern itself with matters of a political, racial or religious nature. In 1979, the Interpol General Assembly, meeting in Nairobi, decided to take appropriate measures against organized groups which, sometimes claiming to be ideologically motivated, had committed acts of violence, such as murder, wounding, kidnapping, hostage-taking, unlawful interference with civil aviation, arson and bombing, and thereby “seriously jeopardise general public safety”. In 1981, the General Assembly in Nice passed a resolution to control the worldwide production, distribution, sale and storage of explosive substances, which were often used in criminal acts of violence. Interpol took a more explicit move towards the policing of terrorism in 1983, when the General Assembly meeting in Cannes, France resolved that a study would be conducted to define Interpol’s position regarding criminal acts that resulted in many victims, are committed by organized groups, and “which are usually covered by the general term ‘terrorism’.” It was also decided to organize a symposium on terrorism in 1984. That year, at the General Assembly meeting in Luxembourg, a resolution passed on ‘Violent Crime Commonly Referred to as Terrorism’ to encourage the member agencies to cooperate and “combat terrorism as far as their national laws permit.” Referring specifically to the criminal acts of organized groups engaging in violent criminal activities that are designed, by spreading terror or fear, to attain “allegedly political objectives,” and activities that are “commonly covered by the term ‘terrorism’,” a new Interpol Resolution specified that “(a) [although] by virtue of the principle of national sovereignty, the political character of any offense can only be determined by national legislation, (b) it is nonetheless essential to combat this type of crime which causes considerable damage in Member States.” An additional Interpol resolution of 1984 acknowledged that it was not possible to give a more precise definition of political, military, religious or racial matters, and that each case had to be examined separately. In 1985, at the General Assembly meeting in Washington, D.C., a resolution passed that called for the creation of a specialized group, the ‘Public Safety and Terrorism’ (PST) sub-directorate to coordinate and enhance cooperation in “combating international terrorism.” The resolution also called for a practical instruction manual on terrorism, to organize another symposium on terrorism, and to make international terrorism an agenda item of all future General Assembly and Executive Committee meetings. In 1986, a first ‘Guide for Combating International Terrorism’ was approved. A few weeks after the terrorist attacks in the United States, from September 24 to 28, 2001, the Interpol General Assembly held its 70th meeting in Budapest, Hungary. At the meeting, the Interpol General Assembly passed Resolution AG-2001-RES-05 on the ‘Terrorist Attack of 11 September 2001’ to condemn the “murderous attacks perpetrated against the world’s citizens in the United States of America on 11 September 2001” as “an abhorrent violation of law and of the standards of human decency” that constitute “cold-blooded mass murder [and] a crime against humanity.” It was also decided to tackle terrorism and organized crime more effectively and that the highest priority be given to the issuance of so-called Red Notices (international Interpol warrants to seek arrest and extradition) for terrorists sought in connection with the attacks. Later, in October 2001, Interpol held its 16th Annual Symposium on Terrorism, the first of Interpol’s terrorism meetings to take place after September 11, at which 110 experts from 51 countries discussed new long-term anti-terrorism initiatives, such as the feasibility of setting up a special aviation database; the financing of terrorism; and the expansion of anti-money laundering measures. In October 2002, 450 representatives from 139 of Interpol’s 181 member agencies attended the 71st General Assembly meeting in Yaoundé, Cameroon. Acknowledging September 11 as a catalyst in the development of global approaches to crime, the meeting paid even more distinct attention to the matter of terrorism. The Assembly attendants agreed to draft a list of security precautions for the handling of potentially dangerous materials (such as letters and parcels that might contain anthrax), while bio-terrorism was specified as deserving special attention. An online available Interpol fact sheet on ‘The Fight Against International Terrorism’ summarizes the key elements of Interpol’s current policy against international terrorism (Interpol website). It specifies that in the aftermath of a terrorist act, member agencies are expected to inform the Interpol headquarters of the particulars concerning an incident and its investigative developments, such as details about individuals arrested and information concerning organizations on whose behalf the terrorist act was conducted. The Interpol offices in Lyon can then issue international notices for fugitive terrorists whose arrest is sought by a member agency. Since 1998, a formal set of ‘Interpol Guidelines for Co-operation in Combating International Terrorism’ more explicitly addresses the relationship of terrorism to Article 3 of Interpol’s Constitution, forbidding Interpol to undertake matters of a political, military, religious or racial character. The key aspect is that terrorist incidents are broken down into their constituent parts, the criminal elements of which can then be identified and subjected to police investigations (Anderson 1997:95). The restriction laid down by Article 3 is further clarified in an Interpol policy document outlining the “Legal framework governing action by Interpol in cases of a political, military, religious or racial character.” Applying to both the General Secretariat and Interpol’s member agencies, Article 3 is said to allow Interpol to check that requests from an NCB comply with the Constitution. Interpol may also receive requests submitted by individuals or an NCB concerning cases which could potentially violate Article 3. In order to determine such a violation, a distinction is made between offenses which are by their very nature considered to be of a political, military, religious or racial character, on the one hand, and offenses of which the predominant nature must be more carefully studied to determine its constituent components. In the latter case (of the so-called predominance theory), Interpol takes into account whether there are links between the aims of the accused and their victims, and bases its analysis on three criteria: the place where the action was carried out; the status of the victims; and the seriousness of the offense. These principles also inform the distinction Interpol makes between requests for prevention and those for prosecution: 1) requests aimed at prosecuting terrorists are processed in strict conformity with the above rules; but 2) with regard to preventing terrorism, Interpol does not apply the theory of predominance. Until recently, Interpol had a policy in place that specified that the decision to circulate information via the Interpol headquarters always had to be based on intelligence indicating that an individual might be involved in a terrorist offense, rather than that the individual merely was a member of some particular group. Effective November 18, 2003, however, it was decided that a Red Notice for arrest and extradition can be issued for suspected members of a terrorist group, providing strong evidence of such membership. The policy change has been justified because membership in a terrorist organization is considered a criminal offense in an increasing number of nations. Finally, Interpol also sets up separate agreements to maintain liaisons with other international organizations. In November 2001, for example, Interpol signed an agreement with Europol to foster cooperation in the policing of terrorism and other international crimes, including those associated with the introduction of the new Euro currency. In December 2001, Interpol and the U.S. Department of the Treasury similarly pledged to cooperate more closely and create an international database of organizations and persons identified as providing financial assistance to terrorist groups. In March 2002, Interpol reached an agreement to cooperate closely with the Arab Interior Ministers’ Council to facilitate the exchange of information with the Arab police community. Although Interpol recognized that the FBI was handling the primary investigation of the acts of 11 September, many investigative leads spanned the globe and many of Interpol’s member agencies have been involved with the investigations. Interpol members have issued Red Notices for a number of terrorist suspects through Interpol’s international communication network and have published them on its web site to give them as wide a circulation as possible. Immediately following September 11, Interpol issued 55 Red Notices for terrorists who had committed or were connected to these terrorist attacks. Interpol also increased its circulation of Blue Notices, i.e., requests for information about or the location of a suspect, of which 19 concerned the hijackers who carried out the September 11 attacks. On September 25, 2001, for instance, Egyptian police authorities posted a Red Notice for Aiman Al Zawahry, a leader of the Al Jihad terrorist group and considered Bin Laden’s right hand man. Incidentally, the first request by Red Notice for the Saudi-born militant, Usama bin Laden, was made by police from Libya well before the attacks on the United States (Brisard and Dasquie 2002). After September 11, Interpol reorganized in several key respects, although some of these organizational changes had already begun before the terrorist attacks. Most concretely, during a press conference in Madrid on September 14, 2001, Secretary General Noble announced the creation of ‘11 September Task Force’ at Interpol’s Headquarters in Lyon, France. The objective of this special task force is to coordinate international criminal police intelligence received at Interpol’s Headquarters and relating to the recent terrorist attacks in the United States. The creation of the task force is meant to ensure that information received is processed as quickly as possible for immediate forwarding to the Interpol National Central Bureau in Washington, DC, and, through it, to the FBI. Also instituted following the September 11 attacks was a General Secretariat Command and Co-ordination Center that is operational 24 hours a day, 7 days a week. A new Financial and High Tech Crimes Sub-Directorate was created that specialized in money laundering. Furthermore, five new Assistant Director posts have been created for various regions of the world, including the Arab World, Europe, the Americas, Asia/Pacific, and Africa. The Public Safety and Terrorism Sub-Directorate became a component of the Specialized Crimes Directorate. In April 2002, Interpol announced the creation of an Interpol Terrorism Watch List, which provides direct access by police agencies to information on fugitive and suspected terrorists who are subject to red (arrest), blue (location) and green (information) notices. On June 22, 2001, Interpol established a system for member agencies to automatically enter information into and retrieve information from a database on stolen blank travel documents. And, finally, at the Cameroon meeting of 2002, the establishment of a new global communications project was announced as Interpol’s highest priority. This project involves the launching of a new internet-based Global Communications System, called ‘I-24/7,’ to provide for a rapid and secure exchange of data among Interpol’s member agencies. Now operational, the I-24/7 system allows for the searching and cross-checking of data submitted to Interpol by the organization’s members over a virtual private network system that transmits encrypted information over the internet. At the 72nd Interpol General Assembly in Benidorm, Spain, in September 2003, Secretary General Noble said that a total of 78 NCBs and 10 other non-NCBs (among them, the New York City Police) had by then been effectively connected to the I-24/7 system. Special efforts are now underway to also connect Interpol’s other members. In November 2003, bids were requested from equipment and service suppliers to connect the police of countries in Africa and the Caribbean to the I-24/7 system. Related to the theoretical perspective introduced in this paper that international police developments are driven by bureaucratization trends in police agencies and that there is a remaining persistence of nationally variable concerns, two issues emerge as central from our analysis. One, because of Interpol’s structure as a cooperative organization, the limitations and characteristics of the various police systems of different nations continue to be revealed when they engage in border-transcending international work. And, two, technological developments and concerns of efficiency are primary considerations in establishing the organizational structures of counter-terrorism, oftentimes even over-riding the ideological antagonisms on terrorism as a politically volatile issue. The fact that Interpol brings together police of different nations without creating a supranational police force demonstrates that national concerns affect international cooperation among police of different nations (Deflem 2002a). By its very nature, then, Interpol serves in the “limited capacity of a communication network system to assist local law enforcement in locating terrorists” (Carberry 1999). Additionally, local developments and unilaterally executed transnational police operations typically outweigh international police work and cooperation on a multilateral scale and/or more or less pre-structured basis. As a result, the famous international criminal law scholar Cherif Bassiouni (2002) argues that Interpol is simply not effective because “major powers, like the United States, do not fully trust it” (p. 93). In the days following the attacks of 9-11, FBI officials were indeed reported to “have been loathe to share sensitive information with” Interpol, instead preferring unilaterally conducted operations. Furthermore, Bassiouni argues, the fight against international terrorism is less likely to be effective when no or only limited cooperation exists with the intelligence community and instead remains restricted, as in the case of Interpol, to police agencies. Recognizing these limitations, Interpol places most emphasis on a smooth coordination of and direct contacts between the various participating police agencies. Only a few days after September 11, Interpol Secretary General Noble flew to New York and Washington to meet with U.S. police chiefs and plead for international cooperation. Also, during his speech in Budapest, Noble aptly stressed that the concrete steps that had to be taken to expand Interpol’s counter-terrorist role would have to be “beginning in each of our home countries.” He added that Interpol needed “each country’s commitment to use our systems and to fill our databases,” but that, regrettably, “many countries consider Interpol too slow.” Similarly, Willy Deridder, the Executive Director of Interpol, at the 16th Annual Interpol Symposium on Terrorism emphasized that information exchange is the key issue in international police work, which is in no small part influenced by cooperation between law enforcement agencies, law enforcement and intelligence services, and relations with magistrates, all issues that Deridder admitted had to be dealt with at the national level. Police support at the national level is not self-evident, particularly not when cases involve politically sensitive matters. This was clearly shown in the case of a former Chechen government representative, Akhmed Zakayev, for whom an Interpol warrant on charges of terrorism was distributed on the request of Russian Authorities. The Chechen envoy was freed by Danish authorities early December 2002, because no evidence was found against him. Thereafter, the Chechen citizen was also released on bail from a London prison. Another interesting instance of lack of cooperation at the national level by police agencies, despite their formal participation in Interpol, is the case of former Peruvian President Alberto Fujimori. An Interpol notice for Fujimori, who is now living in self-exile in Japan, was placed by Peruvian authorities in 2001. But Japanese police and justice authorities have not sought extradition for Fujimori because he has in the meantime become a Japanese citizen. Another peculiar indication of the persistence of nationality in international policing is that sources in Arabic are always listed first on the pages of Interpol website and all official documents since September 11. Although Arabic was together with English, French, and Spanish already one of Interpol’s official languages before 9-11, the prominence now accorded to the language clearly shows that international police organizations and cooperative arrangements such as Interpol reflect the various characteristics of national police agencies, their relative weight on the international scene, and the focus on terrorist groups from Arab nations (Rubin and Rubin 2002). Thus, police agencies from the western industrialized world, especially the U.S. and Europe, are seen to strongly influence the international police agenda on terrorism. Additionally, the focus on foreign terrorist groups rather than domestic groups has led to an emphasis in anti-terrorist activities on citizens of certain countries, often with distinct ethnic characteristics, bringing about problematic considerations with respect to civil and human rights. Ironically, among the victims of this ethnic bias in the application of anti-terrorist laws has been Interpol Secretary General Ronald Noble, who has experienced to have been singled out at airport checks because he is African-American. “I know that I've been searched because I look like a person who could be Arabic, if I'm traveling from an Arab country —or I could be a drug-trafficker if I'm coming from a drug-trafficking country,” Noble said in an interview during Interpol’s annual meeting in Benidorm. An additional consequence of the persistence of nationality in international police work (Deflem 2002a) is the fact that international terrorism has mostly remained a matter regulated, policed, and prosecuted at the national level or on a more limited multilateral scale. This accounts for the development of many international anti-terrorist initiatives that are independent from Interpol. In Europe, for instance, counter-terrorist efforts date back to the 1970s when the TREVI Group (Terrorism, Radicalism, Extremism, and International Violence Group) was founded in the European Community (Benyon 1997; Rauchs and Koenig 2001). The Group was explicitly founded because “Interpol was not considered suitable for such discussions because of a distrust of its ability to handle sensitive information” (Gammelgard 2001:238). Since the formation of the TREVI Group, Europe’s unified nations have created additional cooperative arrangements against terrorism. In 1993, the TREVI Group was along with other European judicial, customs, and immigration organizations united in a new structure specified by the Treaty of European Union. And since 1998, an anti-terrorist unit, the ‘Task Force Terrorism,’ has been set up in the European Police Office (Europol). In multilateral anti-terrorist matters, moreover, the United States has typically played a leading and dominant role. According to Ethan Nadelmann (1993), U.S. police agencies influenced Interpol to become a more effective organization and promote U.S. law enforcement concerns, including improvement of international cooperation in Interpol and its member agencies in matters of “terrorism and the financial aspects of drug trafficking” (p. 185). According to Malcolm Anderson (1997), Interpol’s re-interpretation of the meaning of Article 3 and its consequences for counter-terrorism in 1984 was the result of “a combination of American pressure, sensitivity to sections of western public opinion alarmed by terrorism, and fear that the Organization could be marginalized” (p. 95). And, indeed, following the reinterpretation, the Interpol communication network was, in effect, used to search for terrorist suspects. In 1985, for example, the London NCB issued about 1,000 enquiries about a bombing by the IRA aimed at killing then British Prime Minister Thatcher and some of her colleagues when they were in Brighton (Anderson 1997:95). Relative to Interpol’s increasing involvement in counter-terrorism, it is important to note that police agencies at the level of national states have also gradually expanded their powers to include anti-terrorist objectives. In the United States, for instance, the FBI’s role in anti-terrorist investigations abroad was until the 1970s limited because federal laws restricted the scope of the FBI’s jurisdiction. In 1978, the deaths of a congressman and a U.S. embassy official in Guyana created an opportunity for the FBI to become involved in international investigations. In the 1980s, an increasing number of terrorist incidents and politically motivated killings of U.S. citizens created additional incentives for the FBI to become involved in international investigations (Nadelmann 1993:157). In 1983, for example, the FBI sent forensics experts to Beirut to investigate the April embassy bombing and the October Marines barracks bombing. Federal laws then also extended U.S. jurisdiction over violent crimes, such as terrorism, against American citizens abroad. The international character of terrorism has led to the passing of new laws by U.S. Congress to protect Americans and their property from assault, regardless of where it occurs (Marx 1997:24; Nadelmann 1993:157; Smith 1994). In 1984 and 1986, Congress formally passed legislation that granted U.S. police agencies wider extraterritorial jurisdiction over terrorist acts. Between 1985 and 1989, the FBI conduced over fifty investigations of terrorist actions that occurred outside American borders. From the early 1990s onwards, the counter-terrorist role of the FBI steadily expanded and, since September 11, the FBI has become the leading counter-terrorist law enforcement agency in the United States. The case of the FBI’s growing counter-terrorism program shows that although Interpol’s role in counter-terrorism is more significant today than it ever was before, the police agencies of various countries may continue to work on a unilateral or limited cooperative basis rather than take advantage of participation in the international organization. A remarkable emphasis is placed on technology in formulating the proper police response to international terrorism. The centrality of technology in international counter-terrorist policing is seen as a necessity in response to the use of new technologies by contemporary terrorist organizations, which are argued to be highly sophisticated in terms of scope and methods of operation and are also said to rely on high-tech means of communication and financing to recruit new members and organize attacks (Harmon 2000). Furthermore, aided by such technical developments, a relatively high degree of internationalism and cross-border activity characterizes many present-day terrorist groups. But there is also an independent technological drive in (international) police work based on the means, rather the objectives of policing (Deflem 2002b). Indeed, language barriers, poor inter-agency communications, and aged equipment among police are seen as hindering police investigations. Likewise indicating the sharp emphasis on technological issues, separate concern in counter-terrorism goes to bio-terrorism, the use of computers, and the financial assets of terrorist groupings. All these factors betray an emphasis on the technological means at the disposal of terrorist groups and the likewise technically sophisticated manner in which counter-terrorist police strategies should respond (Deflem 2002b). Demonstrating the emphasis on technology at Interpol are the creation of a specialized anti-terrorist command and coordination center, a new sub-directorate specialized in sophisticated financial crimes, new computerized databases, and the newly instituted I-24/7 communications system. Similarly, the PATRIOT Act in the United States, much like similar legislative changes that have been introduced elsewhere in the world, also places a premium on the technologies of counter-terrorism. Among the surveillance tools mentioned in the PATRIOT Act, for instance, are secret search and seizure methods, the tapping of telephones, and the use of detention without charges for seven days (Whitehead and Aden 2002). At the international level, Interpol head Ronald Noble admitted that the sharing of information among the police agencies throughout the world is not always easy, because national agencies do not want to jeopardize their investigations. Noble also acknowledged that Interpol’s “communication system... is antiquated, clumsy to use.” Until recently, the circulation of Red Notices occurred by regular mail. Even though a received Red Notice could be processed and translated into Interpol’s four languages within a day, Interpol would then mail photocopies back to member agencies, using the cheapest and lowest-priority mail service. It could take weeks, even months before the Red Notices would reach their destination. Changes were made after September 11 to move to an electronic communications system. During the first 10 months of 2002, about half of all (968) Red Notices were transmitted electronically, albeit it to only 42 member agencies. Some NCBs are not aware of the benefits of the electronic system, while others do not have the necessary technical infrastructure. Related to the technological emphasis in the means of counter-terrorist policing is a de-politicization of terrorism as the target of police activities. The explicit non-political nature of the objectives of Interpol’s activities may seem problematic in the case of terrorism because terrorist activities by definition contain a political element in terms of their motive. Christopher Harmon (2000), for instance, defines terrorism as the use of illegitimate means, typically involving the exercise of violence against innocent people, to gain political power. It has therefore been argued that Interpol cannot be authorized within the parameter of its own constitution, especially Article 3, to exchange information regarding political terrorists (Bassiouni 2002). Responding to such concerns, police cooperation with respect to terrorism has in the European context been legally and formally secured in Articles K-K.9 (Title VI) of the Treaty on the European Union concerning cooperation in the fields of justice and home affairs. One of the articles provides for “police cooperation for the purposes of preventing and combating terrorism, unlawful drug trafficking and other serious forms of international crime, including customs cooperation in connection with a Union-wide system for exchanging information within a European Police Office (Europol)” (Flaherty and Lally-Green 1996:983-984). From a legal viewpoint it might be problematic for Interpol that there is no internationally agreed upon definition of terrorism. The plurality of terrorism definitions reflects the disagreement that exists over the politically sensitive issues of the “purposes of terrorist aims, actors, and activities... [and is] symptomatic of larger ideological arguments over who the ‘bad guys’ are” (Sabia 2000:228). In potential terrorism cases, one country may identify an act as terrorism, while another country might label it “resistance” (Marx 1997:33). Gary Marx cites an example in which a Pakistani religious party requested that American rock stars be tried as terrorists, because, they argued, “Michael Jackson and Madonna are the torch bearers of American society [and] their cultural and social values... are destroying humanity” (Marx 1997:33). Differences in definitions of terrorism across nations also shape differences in their systems of legislation, so that national laws and international conventions may often differ, making enforcement at an international level difficult. Thus, although a United Nations General Assembly Resolution of 1983 unconditionally condemned as criminal “all acts, methods and practices of terrorism,” the only instrument of enforcement adopted by 1988 was the more restricted International Convention for the Suppression of Terrorist Bombings (Gregory 2000:102). From the viewpoint of international police cooperation, however, it is important to note that terrorist incidents, even when they explicitly involve political motives on the part of the perpetrators and are sensitive matters in an ideological sense, are de-politicized by police institutions to become the foundation of shared systems of information on which international cooperation can be based (Deflem 2002a; see Geraghty 2002). When Interpol was placed on high alert to respond to possible terrorist attacks that might occur during the war in Iraq, General Secretary Noble was quick to add that Interpol would not take a position on the war itself. As is the case in Interpol, politically sensitive crimes, such as terrorism, can also be broken down into several components, only the criminal elements of which (e.g., homicide, bombings, illegal weapons trade) are taken as the focus of international police investigations. Thus, while it is legally problematic that terrorism is defined differently across the nations of the world, police agencies of various countries can agree to accept their common task to focus on terrorism, whatever its more precise legal specification in any country. From the viewpoint of a de-politicized understanding of terrorism it becomes understandable why Interpol manages to attract cooperation from police agencies representing nations that are ideologically very diverse and not always on friendly terms in political respects. In January 2002, for example, Interpol decided to donate communications equipment to the Cuban police to better coordinate its anti-terrorist operations. According to Interpol Secretary General Noble, the technology transfer was in part the result of the cooperation agreement Interpol had signed with the U.S. Treasury Department concerning matters of the financing of terrorism. Similarly revealing the politics-transcending nature of international counter-terrorist police work is the fact that shortly after the war in Iraq, authorities from France and the United States agreed to cooperate towards the development of biometric techniques to prevent the forgery of passports as part of their efforts against terrorism, despite these countries’ profound disagreements over the Iraqi conflict. On the occasion of the signing of the agreement, U.S. Attorney General John Ashcroft also visited the Interpol Headquarters in Lyon to attend an international conference aimed at stepping up the recovery of Iraqi works of art stolen in the aftermath of the fall of the Saddam regime. Thus, although ideological sentiments on terrorism are very divided in the world of politics and diplomacy, international efforts at the level of police agencies and organizations, such as Interpol and its member agencies, can be based on a common ground surrounding terrorism through its treatment as a de-politicized crime. Interpol has undergone significant changes since September 11 as part of a renewed and vigorous effort to more efficiently organize international police cooperation against the terrorist threat. Most clearly, new systems of information exchange among police across the world have been instituted. Also, formal policy resolutions have been developed to offer a foundation to these new counter-terrorist arrangements. Two keys issues emerge that will significantly direct the shape and future of Interpol’s counter-terrorist activities. One, Interpol is not a supranational police force with investigative powers but instead provides a collaborative forum for cooperation among the police of 181 nations. Two, concerns of efficiency and technical sophistication in international police work are emphasized in Interpol but remain confronted with the ideological battles over terrorism on the political arena of world diplomacy. With respect to the collaborative form of international police cooperation in Interpol, it remains unclear to what extent the organization can effectively determine the course and outcome of counter-terrorist police efforts. To be sure, Interpol does aid in the fight against terrorism and the organization is used by police of various nations. Nonetheless, relative to the activities undertaken by the police agencies of certain powerful nations across the world, Interpol’s efforts are rather minimal. Particularly in matters of terrorism, these police organizations may be expected to prefer unilateral strategies and cooperative efforts on a more limited scale. Additional regional cooperation efforts (e.g., by Europol) further add to the notion that Interpol cannot readily be expected to make good on its claim to be the world’s leading police organization. Potential resistance from police in Arab nations, likewise, may cause rifts in the global fight against terrorism. As a modern bureaucratic police organization, Interpol typically institutes efficient procedures of information exchange and intelligence gathering. In the wake of September 11, Interpol drastically modernized some of its technical apparatus and further built on the communications facilities it has been developing since many decades among a growing number of member agencies. Yet a key problem remains the tension between the emphasis placed in Interpol on efficiency of international police work and communications, on the one hand, and the politically sensitive nature of counter-terrorist objectives, on the other. By criminalizing terrorism, Interpol seeks to develop counter-terrorist programs that can be participated in by police institutions from countries across the world irrespective of the ideological justifications of and sentiments about terrorist activities. The treatment of terrorism in Interpol as a purely criminal matter reflects the impact of a professionalized police culture across nations. It remains undetermined, however, how this de-politicized approach to terrorism as a crime will blend or clash with the political response to international terrorism as a matter of international diplomacy, law, and war. Anderson, Malcolm. 1997. “Interpol and the Developing System of International Police Cooperation.” Pp. 89-102 in Crime and Law Enforcement in the Global Village, edited by William F. McDonald. Cincinnati, OH: Anderson Publishing. Bassiouni, M. Cherif. 2002. “Legal Control of International Terrorism: A Policy-Oriented Assessment.” Harvard International Law Journal 43:83-103. Benyon, John. 1997. “The Developing System of Police Cooperation in the European Union.” Pp. 103-122 in Crime and Law Enforcement in the Global Village, edited by William F. McDonald. Cincinnati, OH: Anderson Publishing Co.
Bossard, André. 1987. “The War Against Terrorism: The Interpol Response.” Pp. 1-10 in International Terrorism: The Domestic Response, edited by Richard H. Ward and Harold E. Smith. Chicago, IL: The Office of International Criminal Justice. Carberry, Jacqueline A. 1999. “Terrorism: A Global Phenomenon Mandating a Unified International Response.” Indiana Journal of Global Legal Studies 6:685-719. ____. 2002a. Policing World Society: Historical Foundations of International Police Cooperation. Oxford; New York: Oxford University Press. ____. 2002b. “Technology and the Internationalization of Policing: A Comparative-Historical Perspective.” Justice Quarterly 19(3):453-475. ____. Ed., 2004. Terrorism and Counter-Terrorism: Criminological Perspectives. Oxford, UK: Elsevier Science. Donnermeyer J.F. 2002. “Local Preparedness for Terrorism: A View from Law Enforcement.” Police Practice and Research 3(4):347-360. Flaherty, John P., and Maureen E. Lally-Green. 1996. “The European Union: Where Is It Now?” Duquesne Law Review 34:923-1006. Gammelgard, Per. 2001. “International Police Cooperation from a Norwegian Perspective.” Pp. 229-244 in International Police Cooperation, edited by Daniel J. Koenig and Dilip K. Das. New York: Lexington Books. Geraghty, Thomas. 2002. “The Criminal-Enemy Distinction: Prosecuting a Limited War Against Terrorism Following the September 11, 2001 Terrorist Attacks.” McGeorge Law Review 33:551-591. Gregory, Frank. 2000. “Private Criminality as a Matter of International Concern.” Pp. 100-134 in Issues in Transnational Policing, edited by J.W.E. Sheptycki. London: Routledge. Harmon, Christopher C. 2000. Terrorism Today. London: Frank Cass Publishers. Marx, Gary T. 1997. “Social Control Across Borders.” Pp. 23-40 in Crime and Law Enforcement in the Global Village, edited by William F. McDonald. Cincinnati, OH: Anderson Publishing. McVey, Philip M. 1997. Terrorism and Law Enforcement: A Multidimensional Challenge for the Twenty-First Century. Springfield, IL: Charles C. Thomas. Nadelmann, Ethan A. 1993. Cops Across Borders: The Internationalization of U.S. Criminal Law Enforcement. University Park, PA: The Pennsylvania State University Press. Noble, Iris. 1975. INTERPOL: International Crime Fighter. New York: Harcourt Brace Jovanovich. Rauchs, George and Daniel J. Koenig. 2001. “Europol.” Pp. 43-62 in International Police Cooperation, edited by Daniel J. Koenig and Dilip K. Das. New York: Lexington Books. Reeve, Simon. 1999. The New Jackals: Ramzi Yousef, Osama bin Laden, and the Future of Terrorism. Boston, MA: Northeastern University Press. Rubin, Barry, and Judith C. Rubin. Eds, 2002. Anti-American Terrorism and the Middle East: A Documentary Reader. Oxford: Oxford University Press. Sabia, Debra. 2000. “International Terrorism and the United States: The Troubling Case of Latin America.” Pp. 228-240 in International Criminal Justice: Issues in a Global Perspective, edited by Delbert Rounds. London: Allyn & Bacon. Smith, Brent L. 1994. “Anti-Terrorism Legislation in the United States.” Pp. 107-118 in International Terrorism: The Domestic Response, edited by Richard H. Ward and Harold E. Smith. Chicago, IL: The Office of International Criminal Justice. Stuntz, William J. 2002. “Responses to the September 11 Attacks: Terrorism, Federalism, and Police Misconduct.” Harvard Journal of Law & Public Policy 25:665-679. Townshend, Charles. 2002. Terrorism: A Very Short Introduction. Oxford: Oxford University Press. White, Jonathan R. 2003. Terrorism: An Introduction. 2002 Update. Wadsworth. Whitehead, John W., and Steven H. Aden. 2002. “Forfeiting ‘Enduring Freedom’ for ‘Homeland Security’: A Constitutional Analysis of the USA Patriot Act and the Justice Department’s Anti-Terrorism Initiatives.” The American University Law Review 51:1081-1133. 1 This analysis is based on publicly available documents from archives, libraries, and police agency websites. Additionally relied upon were news sources retrieved through Lexis-Nexis. News sources are cited only in footnotes. Other sources are listed in the References section. 2 Unless otherwise stated, all references in this section and the following are to documents available on the Interpol website (www.interpol.int). 3 “The Building of a Network that Is Global and Reliable,” The New York Times, September 23, 2001. 4 “Chechen Envoy To Ask To Be Removed From Interpol ‘Wanted’ List,” Agence France Presse, December 5, 2002; “Redgrave Posts Bail for Chechen Who Russia Says Is a Terrorist,” The New York Times December 7, 2002. 5 “Japan Police Tight-Lipped Over Interpol Arrest Warrant For Fujimori,” Agence France Presse, March 9, 2003. 6 “Interpol Needs Thorough Overhaul to Fight Terrorism,” Agence France Presse, September 26, 2001. 7 Other international conventions on terrorism that have been agreed upon by the nations of the world are similarly delineated to specific issues, such as the The Hague Convention for the Suppression of Unlawful Seizure of Aircraft (1971), the Montreal Convention for the Suppression of Unlawful Acts against the Safety of the Civil Aviation (1971), and the International Convention against the Taking of Hostages (1979) (Gammelgard 2001:237). 8 “Iraq War Will Increase Terror Risk, Analysts Say,” Agence France Presse, March 14, 2003. 9 “Interpol Assists Cuba in Anti-Terrorist Drive,” Agence France Presse, January 17, 2002; “Global Plan To Track Terror Funds,” The New York Times, December 19, 2001. 10 “France and U.S. Seek to Thwart Passport Forgers Postwar Co-Operation,” Financial Times, May 6, 2003.